Union Cabinet has approved the Gaganyaan project under which a three-member crew will be sent to space for at least seven days. The proposed Indian human spaceflight mission (Gaganyaan) envisages to send astronauts to space by 2022. The ambitious project was first announced by Prime Minister Narendra Modi on August 15 speech from Red Fort and the Indian Space Research Organisation (ISRO) has since upped the ante for its implementation. He had said that by the year 2022, an Indian astronaut, be it a man or a woman, will go on a space odyssey, on board ‘Gaganyaan’. The total cost of the programme is estimated at Rs 10,000 crore. Two unmanned flights and one manned flight will be undertaken as part of the programme. “A human rated GSLV Mk-lll will be used to carry the orbital module which will have necessary provisions for sustaining a 3-member crew for the duration of the mission. The necessary infrastructure for crew training, realization of flight systems and ground infrastructure will be established to support the Gaganyaan Programme. ISRO will collaborate extensively with National agencies, laboratories, academia and industry to accomplish the Gaganyaan Programme objectives,” said the Centre in a statement on Friday. The ISRO has completed the development of launch vehicle GSLV Mk-lll which has the necessary payload capability to launch a 3-member crew module in low earth orbit. ISRO has also tested the crew escape system which is an essential technology for human space flight. “The aerodynamic characterization of crew module has been completed as part of GSLV Mk-lll X mission flight. 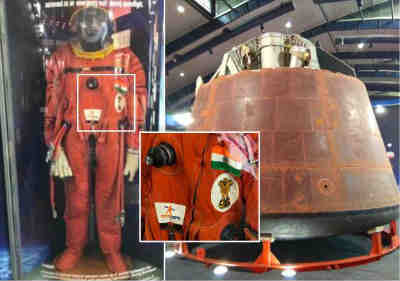 Elements of life support system and space suit also have been realized and tested,” said the Centre.